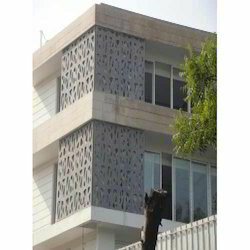 We are the reputed Manufacturer of an optimum quality range of Designer GRC Jali, GRC Screen Jali, GRC Elevation, FRP Jali, GRC Column, GRC Tower, FRP Planter and much more. 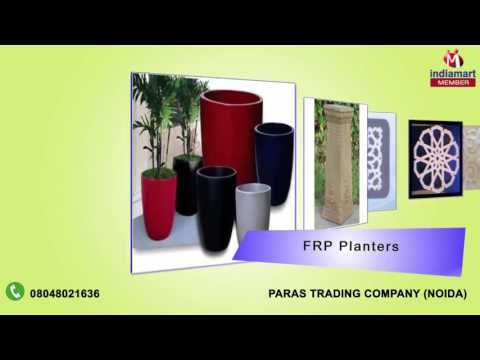 We Paras Trading Company is the reputed Sole Proprietorship company, engaged in Manufacturing the finest quality range of GRC Jali and FRP Jali. Established in the year 2014 at Noida (Uttar Pradesh, India), we are backed by a sophisticated infrastructural base that comprises of various units such as quality testing, warehousing, procurement, production, and sales & marketing. We are well-known for our products’ high-quality standards, so we manufacture the offered products using premium quality basic material and advanced techniques in adherence to the set industry standards. The offered products are highly demanded in the market for their features such as durability, high strength, perfect finish, etc. These products are available in various specifications as per the demands of our valued clients. Moreover, we also engaged in trading the qualitative range of Designer GRC Jali, GRC Screen Jali, GRC Elevation, FRP Jali, GRC Column, GRC Tower, FRP Planter and much more. These products are procured from our reliable market vendors. We have the modern infrastructural base that helps our professionals to manufacture the qualitative range of products like GRC Jali and FRP Jali. In compliance with the set industry standards, the offered products are precisely manufactured by the special team of our adept professionals using the best grade basic material and modern techniques. Before the final delivery to clients, these products are strictly tested on various quality parameters to avoid any defect. Owing to our ethical business policy, wide distribution network, transparent dealings, nominal pricing structure and premium quality products, we have gained huge appreciation from our clients. Under the leadership of Mr. Arun Jain (Proprietor), we have been able to cater the various demands of our valued clients. Being a quality conscious company, we always strive to deliver a top-notch quality range to the clients. Our entire range of products is manufactured in compliance with international standards like ASME, DIN, and TEMA. Further, our experts stringently test the products on various parameters in order to deliver best solution to the clients. We have a sophisticated infrastructural base that allows us to manufacture the best quality range of products like GRC Jali, and FRP Jali. The infrastructural base comprises of various divisions such as warehousing, quality testing, production, procurement, and sales & marketing. All divisions are operated by our adept professionals to maintain the quality of these products. In addition to this, our production unit is well-equipped with advanced machinery and tools in order to carry out hassle-free production process. 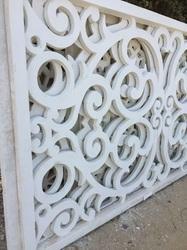 We are leading manufacturer of GRC Jali. We are leading manufacturer of GRC Elevation. 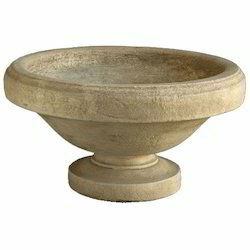 We are leading manufacturer of GRC Planter. We are leading manufacturer of GRC Column.